You use it every day; it’s a facial feature that everybody sees; and one that enables almost all animals to survive. We’re talking, of course, about the mouth. Our mouths truly are amazing, and enable us to eat, breathe, and form words. Unfortunately, our mouths can cause us problems too, leaving many people with intense fears of “the dentist.” Nevertheless, dentistry is a truly fascinating subject, and covers an enormous range of topics. This list of ten facts will open your eyes to some of the lesser-known facts about dentistry, including where the myth of the tooth fairy comes from, how braces work, and what Aristotle had to say about the art of dentistry. 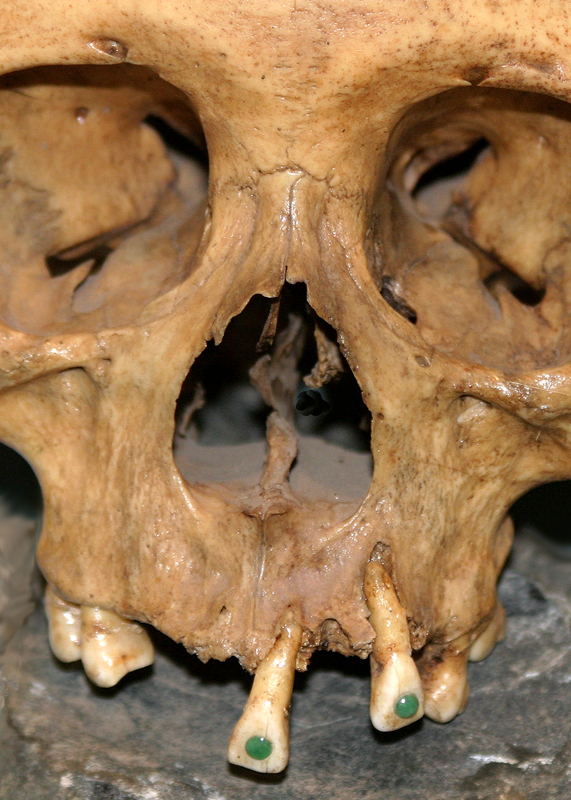 Most civilisations in the world have practiced intentional dental modification at some point. These modifications range from the ablation of teeth, as practiced by hunter-gatherers in Africa at least 15,000 years ago, to jewels being implanted into teeth among the ancient Mayan communities, and inhabitants of western Micronesia slicing grooves into their teeth. Image credit: Jade-Toothed Skull by David Dennis. CC-BY-SA 2.0 via Flickr. Yes, you heard that right. The great Greek philosopher and scientist didn’t know absolutely everything. In this case, he wrongly believed that men and women have a different number of teeth. We actually have 32 each, with 1-16 located in the top row, and 17-32 in the bottom. Admittedly, this is a much more common phrase, and Aristotle did in fact get a lot right about teeth. He astutely noted in around 350 BC that, “Teeth have one invariable office, namely the reduction of food.” The food that mammals eat and have eaten has a direct relation to how their teeth develop. Given that some mammals can take up to 10,000 bites a day, it’s important to have the right tools. An example of teeth being suited to the job are those of cats and dogs: cats have bigger, stronger canines for deep, prolonged killing bites while holding struggling prey, whereas dogs have relatively larger incisors used to inflict shallow, slashing wounds and to gather other foods. Dental surgery was one of the first uses for general anaesthesia in the 1840s, and it was in fact a dentist who provided the first public demonstration of anaesthesia being used in surgery. William Morton successfully demonstrated the use of ether for the removal of a tumour from a young man’s neck in Boston, Massachusetts. It was used widely across the world until the 1970s and 80s, when concern was raised over the number of healthy patients dying as a result of dental anaesthesia. As a result, general anaesthesia use for dental surgery was discouraged, and on 31 December 2001, the administration of general anaesthesia in dental surgeries in the UK was prohibited. In England, between the 15th and the 20th century, it was very important that a child’s tooth was disposed of as quickly as possible after it fell out. The traditional explanation was that if the tooth was simply discarded with other rubbish, a dog or pig might gnaw it, causing the child’s new tooth to be misshapen, like the animal’s. This is slightly misleading, however, as teeth are not in fact bones. They are comprised of dentine, which is a calcified tissue, and enamel, which is formed of minerals and is harder than bone. You, or a fellow teenager during your school years, may well have had braces in order to straighten their teeth. For this, they would visit an orthodontist—“ortho” coming from the Greek word for “straight.” Braces, or fixed appliances as they are professionally known, are attached to the teeth and give precise 3-D control of tooth movement. There are risks associated with fixed appliances however, including damage to the teeth and their supporting tissues. 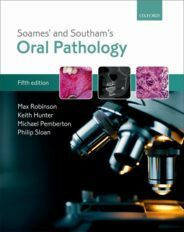 Humans produce an average of 1.5 litres of saliva every day from 3 pairs of major glands. Why so very much though—what does it actually do? Firstly, it lubricates the mouth to ease the actions of chewing and swallowing. It also, helpfully, enables food to be dissolved, which is how we experience flavour. Saliva also helps to protect tissues in the mouth. It helps maintain the pH of the mouth, reduces the clotting time of wounds, accelerates wound contraction, reduces the growth and spread of bacteria, and has anti-fungal and anti-viral properties. English and North American folklore dictates that when children lose their milk teeth, they are to put the tooth under the pillow for the tooth fairy to take and that she will reimburse them for it, usually with a coin. The origins of the tooth fairy are uncertain, although there have been several testimonies that the tradition was known in the 1800s. It may seem like a fairly random notion, but a 1600s poem, “Oberon’s Palace,” describes a grotto containing various small and useless objects from the human world, “brought hither by the elves,” including “childrens teeth late shed.” This is thought to be the earliest source linking fairies and teeth. 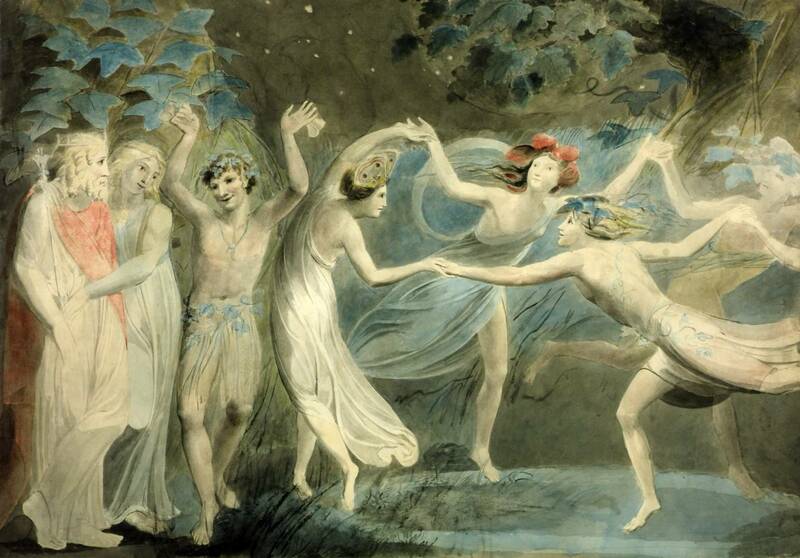 Image credit: Oberon, Titania, and Puck with Fairies Dancing by William Blake. Public Domain via Wikimedia Commons. Permanent teeth that have been pulled out completely can be re-implanted straight away, although there are a few conditions to this. Firstly, it must be implanted within an hour of it coming out. If that isn’t possible, the tooth should be transported in either milk or the patient’s own saliva until it can be implanted. Secondly, you should never handle the tooth by its root. Thirdly, it must not be scrubbed, washed, or brushed. While there is an expected time-frame for when babies begin the teething process, the timings can vary fairly widely, and for a number of reasons. English folklore had some rather less scientific reasons for the order in which babies cut their teeth, however. An 1849 comment reads, “If a child tooths first in the upper jaw, it is considered ominous of its dying in its infancy,” whilst a 1659 text reads that, “Soon todd [toothed], soon with God,” i.e. the baby would soon be dead and, expressed in a later proverb, “Soon teeth, soon toes,” which indicated that the mother would quickly be pregnant again. Further, it was believed by some that if a child was born with teeth that it would grow up to be vicious—Shakespeare states that this was the fate of Richard III in Henry VI. Featured image credit: “Woman dentist with gloves showing on a jaw model how to clean the teeth with tooth brush properly and right” by Vadim Martynenko. Used under license from Shutterstock.com. Amy Cluett is a Marketing Assistant based in the Oxford office of Oxford University Press.